Rajasthan a cultural state of India is a must visit to experience ultimate royalty and hospitality. It is a land of festivals and fairs. Here we are with the list of Festivals of Rajasthan you cannot simply miss visiting once in your life. Whenever we think of Rajasthan we think of culture and tradition, delicious Rajasthani cuisine, colours and brightness soulful music and amazing dances. Rajasthan has all which makes it a perfect tourist destination throughout the year. Rajasthan is also famous for its fairs and festival such as Desert Festival, Pushkar Fair, Teej Festival and lots more that one must experience at least once in their lifetime. The Pushkar Mela also known as Pushkar Camel Fair is five day camel and livestock fair held in the town of Pushkar every year between the months of October and November. 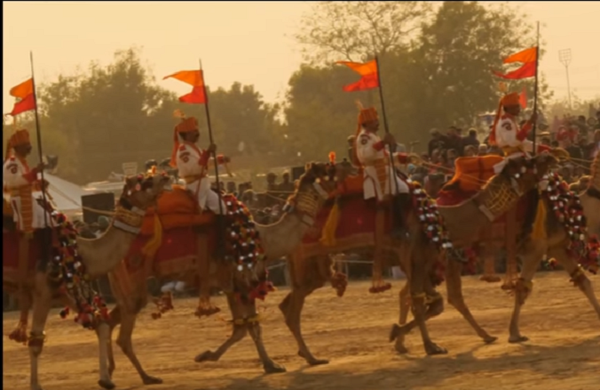 Pushkar Fair is an important tourist attraction and lots of tourist across the world visits the fair to enjoy and get familiar with Rajasthani culture and heritage. Many competitions and events are held at Pushkar fair which attracts thousands of tourists every year. It is the celebration of Kartik Ekadashi when the Pushkar Lake was supposed to be created by Lord Brahma. Tented accommodation, delicious Rajasthani cuisine, unmatched hospitality and smiling faces all are the big asset of Pushkar Fair. This year Pushkar fair is going to be held from Wednesday 2 November to Friday 11 November, 2016. One can also enjoy Bhakti Festival at Ajmer during the Pushkar Fair a religious music festival of traditional music and hymns performed by local artist to take you on a spiritual journey. 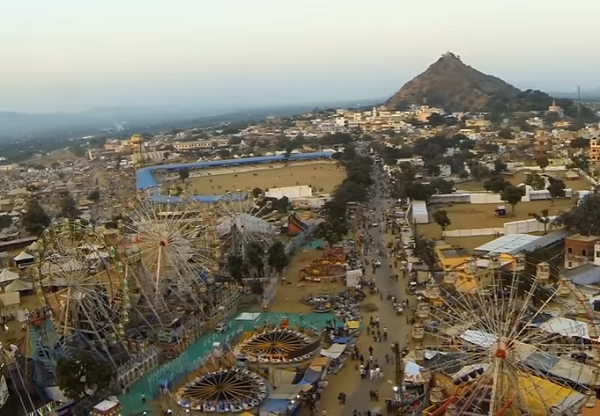 This added attraction at the Pushkar Fair takes place at various religious places in Ajmer. 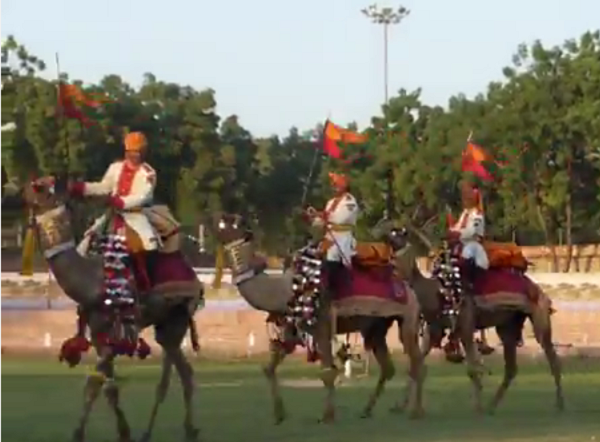 Bikaner Camel Festival is an annual festival is all dedicated to Camel, ship of the desert. It organised by Rajasthan Tourism every year in the month of January. It is a two day festival attracts lots of tourists every year. One can enjoy spectacular camel performances like camel dances, camel races, camel rides etc. at Camel Fair. People throughout the desert bring their camels dressed in colourful bridles, traditional necklace and heavy anklets showing off wonderful footwork to the lovely tunes on desert sands. Tourist can enjoy Rajasthani folk dance, fascinating Fire Dance, puppet shows and many others cultural activities at Camel Fair against the red backdrop of the Junagarh Fort. Teej festival is celebrated in Jaipur every year during monsoon months of July-August dedicated to Lord Shiva and Parvati. The festivals celebrate the arrival of the monsoon and woman's love for her husband. The festival is mainly celebrated by the women, dressed in brightly coloured saris and lehenga choli, applying henna on hands and feet, wearing heavy jewellery and bangles, playing under the trees on swings all are the part of Teej festival. Women pray to the goddess Parvati, also known as Teej Mata seeking the wellness of their husband. The festival begins at the City Palace, Jaipur witnessed by lots of spectators not only from India but across the world. 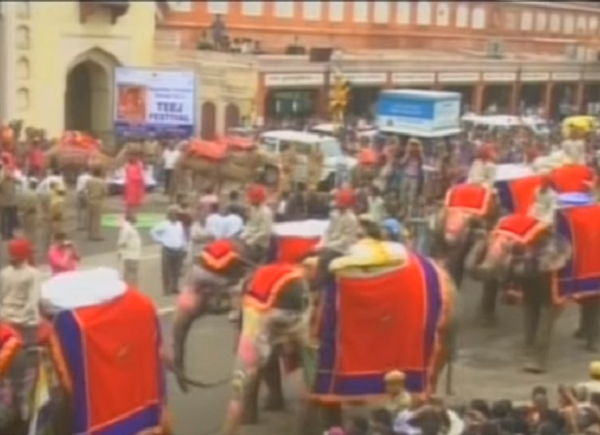 A chariot of a decorated idol of Goddess Parvati is carried through Jaipur, and thousands of devotees and tourists enjoy seeing the procession. The Chandrabhaga Fair is held every year at Jhalrapatan in Jhalawar district of Rajasthan in the month of Kartik from October to November. 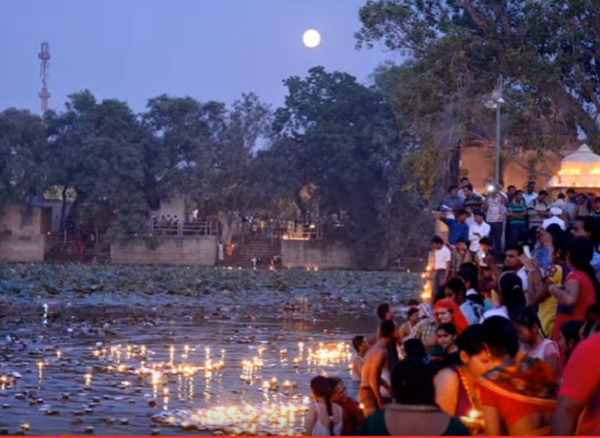 Many devotees take a holy dip in the Chandrabhaga River on the full moon night of 'Kartik Purnima' considered as a holy river by the local people. People bring their farm animals like cows, horses, buffaloes, camels and bullocks in the fair from the distant parts for sale and brisk trading takes place. The fair gives a very good opportunity to the tourists to know more about the rituals, traditions and culture of the region. Chandrabhaga Fair is a true glimpse of Rajasthani culture and heritage. 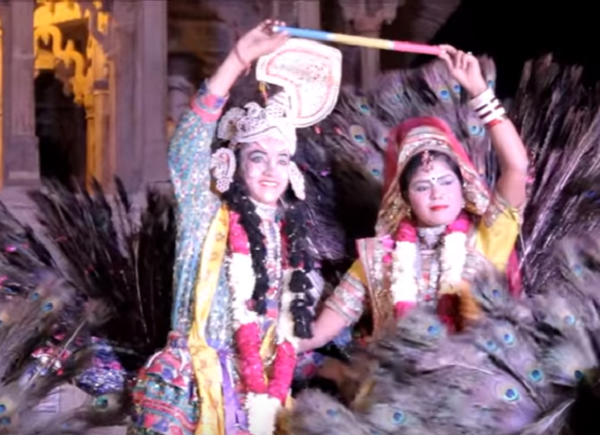 Marwar Festival is one of the most popular festivals in Jodhpur. It is a two days festival held every year in the month of Ashwin i.e. between September and October on the full moon day of Sharad Purnima. Marwar Festival was originally known as the Maand Festival celebrated in memory of the heroes of Rajasthan. Folk music and dance on the romantic lifestyle of Rajasthani rulers is the prime attraction of the festival. One can peek into the days of battles and of heroes in the performances of the folk artists. 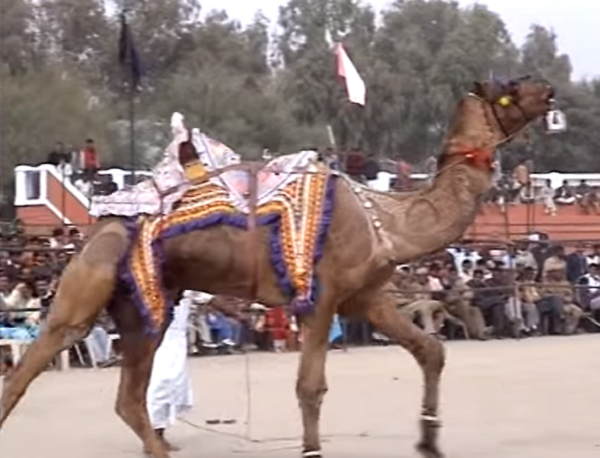 Some of the major attractions at the Marwar festival are the camel tattoo show and various competitions like long moustache competition, matka phod, Tug of War, traditional dress competition etc. The Matsya festival of Alwar is a two days festival held in November every year is the foremost of all fairs and festivals of Rajasthan. It is celebrated to glorify and showcasing the rich social and cultural heritage of the region. Matsya Festival is famous for its cultural performances, sporting events and amazing artistic exhibitions. The Matsya Festival is attended by thousands of people locals, national and international tourists. Tourists can take part in adventure sports such as parasailing, hot air ballooning and zorbelling ball. One can also go for Alwar Darshan to get a closer look at the lifestyles and customs of the region and the popular tourist destinations of Alwar. An Archaeology exhibition called Dharohar is also held at the festival to make people aware about the rich history of Rajasthan. The Kumbhalgarh fort located in the Aravali Ranges, north of Udaipur hosts the three days Kumbhalgarh Festival every year in the March month. Kumbhalgarh fort is named after Maharana Kumbha, great promoter of Indian martial and fine arts, architecture and learning. It is organised by the Department of Tourism of the state to promote the culture and heritage of Rajasthan. The festival is divided into two parts- day and night. During daytime tourists can enjoy folk performances by traditional artistes. On the other hand, during the night one can enjoy amazing lights and sound show. Kumbhalgarh Festival is a best way to get familiar with rich culture of Rajasthan. Rajasthan Chambal festival is held in Kota, Rajasthan during the month of February or March every year. This festival is organized by Kota Tourism Development Authority to boost tourism in Rajasthan. Tourists from all over the country visit Rajasthan to enjoy Chambal Adventure Festival. It is an extraordinary fair a true paradise for adventure sports lover under the guidance of expert sport person and troops of army personnel. Many adventure and daring events are carried out in the Chambal Lake. Parasailing, water rafting, water skiing, Kayaking, Windsurfing and boating are some of the major events of the festival. Apart from water sport visitors can enjoy rock climbing, trekking, angling and rural excursion to have a wonderful time and a memorable experience of Rajasthan hospitality and culture. 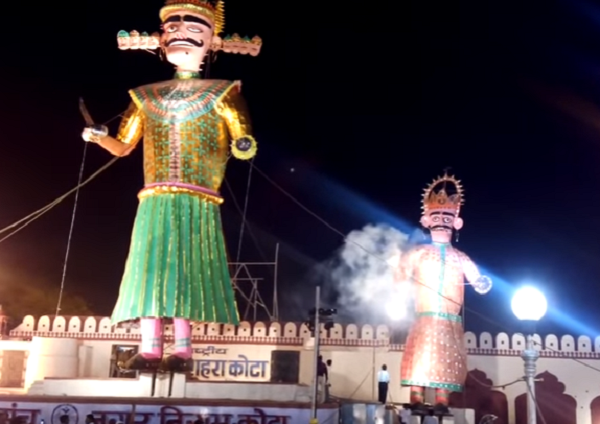 Dussehra Festival in Kota is one of the major attractions of the town. It is held every year in the Hindu month of Ashwin September to October attended by locals, national and international tourists also. Dussehra Festival is held to celebrate the victory of Lord Rama over the Demon King Ravana. People can witness the theatrical representation of this encounter during Dussehra Festival. At the end of the drama 75 feet plus large effigies of the defeated Ravana along with his brother Kumbhakarna and his son Meghanath are set on fire. Tourist can also enjoy many other activities during Kota Dussehra Festival. Dussehra Festival is the best place for shopping, having delicious Rajasthani food and beautiful artefacts of the region. Kota Dussehra festivities last for a whole fortnight. Rajasthan is famous for hosting a number of world famous fairs and each has its own specialty and feature. The Kolayat fair is the largest fair of Bikaner celebrated during the month of October- November every year where a large number of cattle are traded. People take a dip in the holy lake and float the light lamps in it. Many temples are situated near the Kolayat Lake along with 52 Ghats. The Kolayat fair is also known as the Kapil Muni fair dedicated to ancient Indian sage Kapil Muni who meditated here. Kolayat city is a pilgrimage for Hindus attracts devotees throughout the year. Lots of devotees and tourists visit Kolayat Fair every year to get the blessings. The Bundi Festival is celebrated in the month of Kartik i.e. October-November every year. It is a 3 days festival organised by Rajasthan tourism. Bundi Festival is a representation of Rajasthani traditional art and culture that attracts lots of visitors every year. 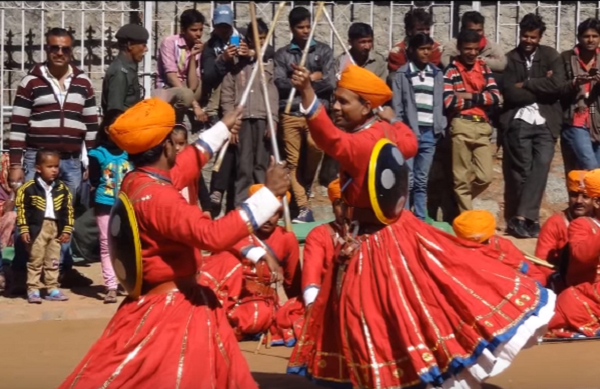 The town of Bundi comes alive during Bundi festival. Many wonderful events like folk dance, kabaddi, horse riding, camel races, fireworks and lots of other competitions are held during the festival. In the evening town get lightened by the little clay lights to celebrate a small version of the festival of light. A Deep Daan ceremony is also organised during fair in which men light the candles and women carry the lighted candles to the river and let them float with prayer and chants. The Winter Festival of Mount Abu organised every year during the last week of December by the Rajasthan Tourism Development Corporation and the Municipal Board of Mount Abu. This is a three day festival to celebrate the warmth and hospitality of the people of hill station who welcome the tourist from all over the world from the depth of their hearts. People can enjoy boat race, Panihari Matka Race, band Show, Skating Race, Tug of War, Musical Chair Race and many other activities at the fair. The festival ends with the dazzling fireworks show all three days. The Summer Festival of Mount Abu organised every year during the month of May on Budh Purnima. The festival begins from the RTDC Hotel Shikhar and gathers at the Nakki Lake Chowk followed by the Rajasthani folk performances. Kite festival or International Kite Festival is one of the biggest festivals celebrated in Rajasthan. 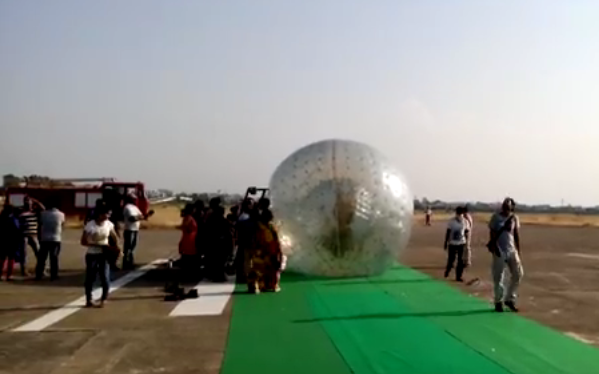 Many kite flyers and tourists visit Gujarat to visit the fair. Kite festival is celebrated on Makar Sankranti or Uttarayan (14th of January) every year. It is certainly a unique festival in its own way. The colourful kites cover the whole sky of the Jaipur. 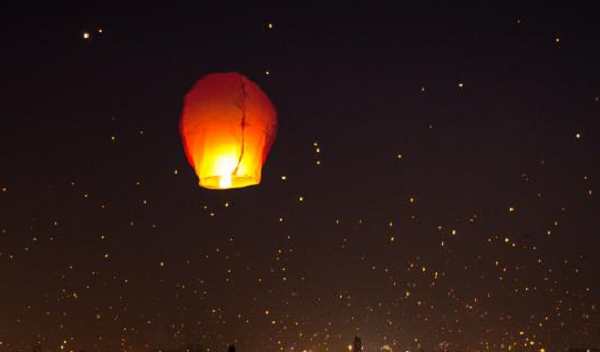 It is the best time to visit the Jaipur if you love to fly the kite. Nagaur Fair is considered as the second biggest fair in India goes on for eight days. It is held every year during the month of January-February. 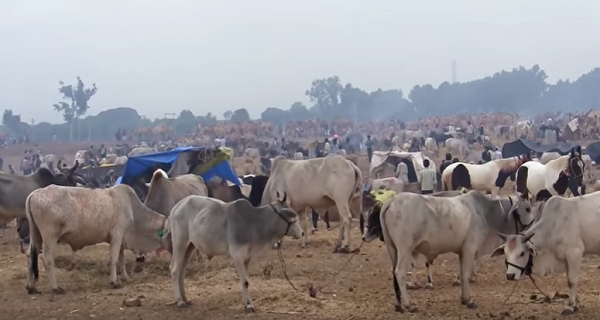 Nagaur Fair is popularly known as the Cattle fair of Nagaur a largest fair for trading the animals. 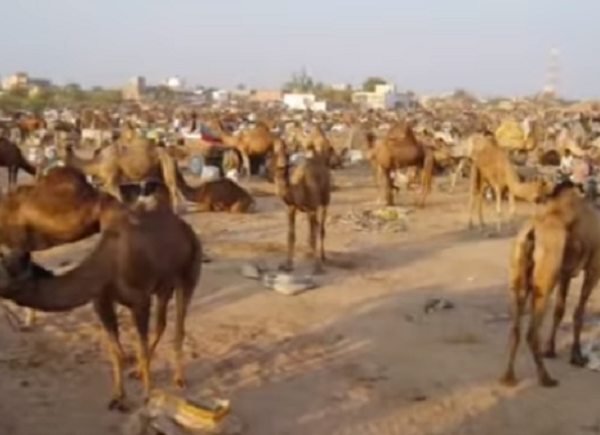 Many farm animals from sheep to Marwari horses and spices are traded in Nagaur Fair. Mirchi bazaar, wooden items, iron crafts and camel leather accessories are the major attractions of the fair. Desert Festival is a three day long colourful festival held in February every year. It is a colourful festival to see Cultural events, camel races, turban tying competitions and many other activities belongs to Rajasthan heritage and history. It is celebrated on the golden sands of the Thar Desert. The festival becomes more enchanting because of the musical performance by folk singers under the starry sky at the Sam dunes, just outside the Jaisalmer. The desert festival was started to attract foreign tourists mainly. You will never forget the famous Gair and Fire dancers that are the major attraction of the desert festival celebrations. The Rajasthan tourism organizes the Jaisalmer Desert fair and monitored by local administration and state. This is a best place to buy gifts or souvenirs for your dear ones.